A factory for creating UUID instances. 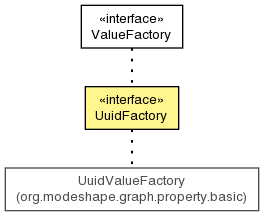 This interface extends the ValueFactory generic interface and adds specific methods for creating UUIDs. Create a new random UUID.